We're looking for reports on tonight's Raw show in Bangor, ME and NXT show in St. Augustine, FL to newstips@wrestlingobserver.com. We're looking for reports on Saturday's WWE Super show in Hartford, CT (all the Smackdown crew, plus Daniel Bryan, Randy Orton, Rey Mysterio, Ronda Rousey, Braun Strowman, Roman Reigns and Alexa Bliss) and the Raw show in Portland, ME (headlined by Seth Rollins, Dean Ambrose, Drew McIntyre and Dolph Ziggler), as well as the NXT show in Venice, FL to newstips@wrestlingobserver.com. Chris Sabin & Kushida vs. Soberano Jr. & Volador Jr.
Sunday has a Super show in Boston with the entire Smackdown crew including Daniel Bryan, Randy Orton and Rey Mysterio, plus Roman Reigns, Braun Strowman, Ronda Rousey and Alexa Bliss. Saudi Arabia state media has confirmed the death of Jamal Khashoggi, a Saudi journalist who wrote for the Washington Post. They said that an altercation between Khashoggi and those who met him inside the Saudi consulate in Turkey led to his death. Crown Jewel is scheduled for November 2 in Riyadh. PWInsider reported that there are plans for Shawn Michaels to appear on Monday’s episode of Raw. WWE posted video from August of Triple H checking on Tegan Nox backstage after she was injured during her Mae Young Classic match against Rhea Ripley. They also uploaded video of Triple H telling Mia Yim that she was going to be signed. Mandy Rose and her family were featured on the latest episode of My Daughter is a WWE Superstar. Billy Kidman reconnected with an Australian cancer survivor who he first met back in 2002. Becky Lynch was at a New Jersey Devils hockey game last night and was in charge of their Instagram account. Natalya interviewed Lita for her column in the Calgary Sun. 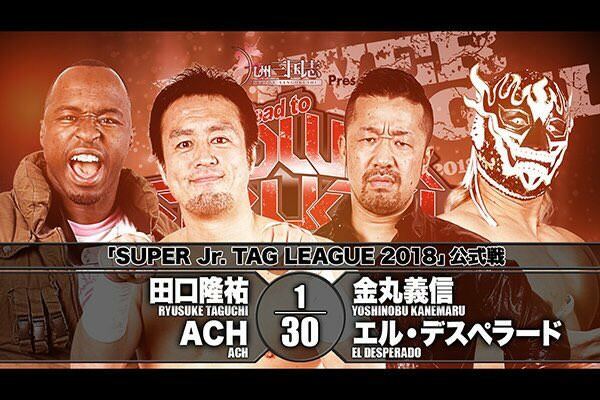 Today’s Super Junior Tag League matches in Hiroshima had Tiger Mask & Jushin Thunder Liger (2-1) defeat Shingo Takagi & BUSHI (2-1) and ACH & Ryusuke Taguchi (1-2) defeat El Desperado and Yoshinobu Kanemaru (1-2). Here is the poster for the Pro Wrestling All Stars Battle on February 19. 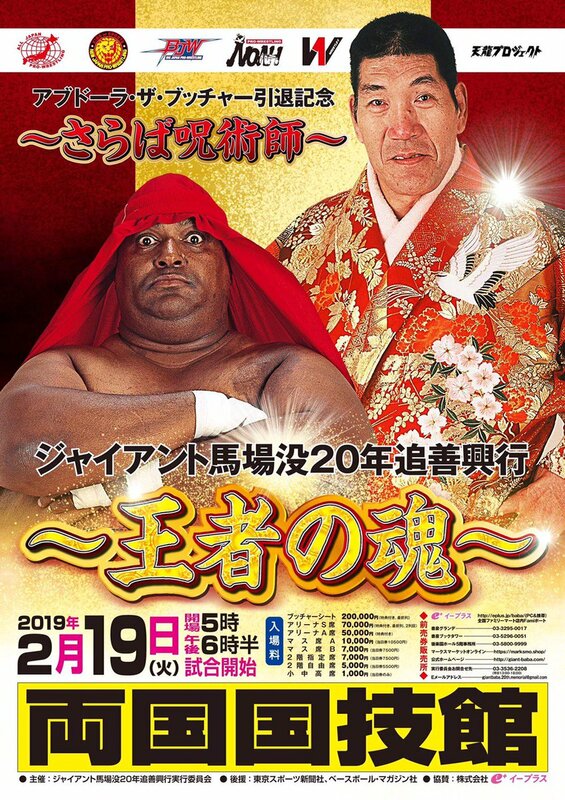 It will feature a retirement ceremony for Abdullah the Butcher, who hasn’t wrestled since 2010. Stan Hansen will also be in attendance as a special guest. ROH has begun announcing matches for next month’s Global Wars tour. Jay Lethal, KUSHIDA, Chris Sabin & Jonathan Gresham vs. Los Ingobernables de Japon (Tetsuya Naito, EVIL, SANADA & BUSHI) is set for Lewiston, Maine on November 7, The Young Bucks vs. KUSHIDA & Sabin vs. Lethal & Gresham vs. The Kingdom (Vinny Marseglia & TK O’Ryan) will be taking place in Lowell, Massachusetts on November 8, KUSHIDA vs. Gresham vs. Flip Gordon vs. BUSHI is set for Buffalo, New York on November 9, and Lethal will defend his ROH World Championship against Kenny King in Toronto on November 11. Dalton Castle and CMLL’s Stuka Jr. and Guerrero Maya Jr. have been announced for ROH’s Survival of the Fittest tournament in Columbus, Ohio on November 4. Pro Wrestling EVE has uploaded their entire WrestleQueendom show from May 5, featuring a match between Meiko Satomura and Kay Lee Ray. PAC cuts a promo for the Dragon Gate Network. David Starr vs. Tomohiro Ishii has been added to the 11/9 Rev Pro Uprising event in York Hall. The match was made after Starr issued a challenge to Ishii. The Rock’s Jungle Cruise movie has been pushed back to July 24, 2020. Anthony Carelli (Santino Marella) and his way welcomed the birth of their son Marko Jason Carelli. 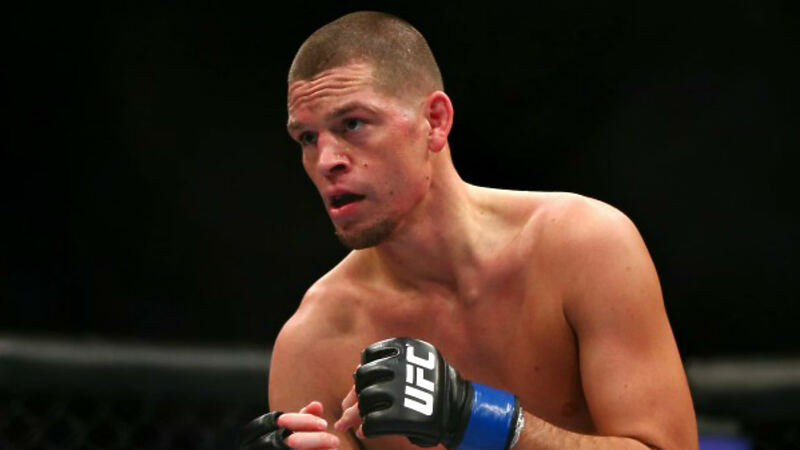 Dana White on if he would want to rebook a Nate Diaz/Dustin Poirier bout: "I'm not interested in making a Diaz fight until Diaz is just absolutely dying to fight. When he's ready to fight he'll let us know." Speaking of Poirier, he mentioned on his Twitter account that he will not need surgery and will recover in three weeks. White also mentioned in an interview with ESPN that if Georges St-Pierre wants to challenge Khabib Nurmagomedov, he’d have to go through a ranked contender first. MSG Networks announced this morning that a three-part series called “Weidman’s World” will air on their network. It will feature his training prior to his 11/3 UFC 230 bout, which was originally supposed to be against Luke Rockhold. Jorge Masvidal had some words for Leon Edwards, who he will face on the 12/29 UFC show. Elizeu Capoeira will face Li Jingliang at UFC Beijing on 11/24.